IT wasn’t her dream to start a gallery, but now it seems like that was what she was meant to do. “When I look back at my life and how it has been shaped, everything has just sort of led up to this,” said Lim Wei-Ling, of the reputable Wei-Ling Gallery in Brickfields and the Wei-Ling Contemporary in the Gardens shopping mall in Kuala Lumpur. She didn’t think she was born to be an artist either, but that was what she started out doing. “I went to art school and studied jewellery design. Art and creativity have always been in my blood. It’s about wanting to express myself and saying something through what I create. Lim Wei-Ling, owner of Wei-Ling Gallery in Brickfields and Wei-Ling Contemporary in the Gardens shopping mall in Kuala Lumpur. “In any artistic person, whether an artist, musician or actor, you will find that the greatest of these creative sorts are the people who can make their art an extension of themselves. “Art should be all encompassing in one’s life, if you choose that path,” says Lim. 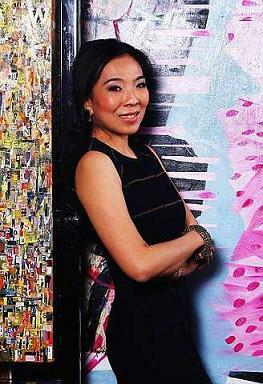 Lim has 12 local artists under her stable – Anurendra Jegadeva, Azril Ismail, Chen Wei Meng, Chin Kong Yee, Choy Chun Wei, Hamidi Hadi, Ivan Lam, Juhari Said, Kim Peow Ng, Yau Bee Ling, Zulkifli Yusof and Noor Azizan Rahman Paiman. She also represents Michal Macku from the Czech Republic and Amin Gulgee from Pakistan. “I know my artists inside out. I believe in them. I make studio visits every month, and each time we chat for hours about their artwork. These are artists who are true to their art,” says Lim. She is also working to take her artists to a global and international audience. She has participated in shows in Pakistan, China and Singapore. She wants to make people aware what there are great artists in Malaysia. On the local front, she opened Wei-Ling Comtemporary in Gardens in April this year, to put good art in people’s consciousness. To make art as accessible as possible, the gallery puts up are short write-ups to accompany each painting, so viewers can glean something from the viewing. There are also catalogues about past and current exhibitions. Lim hopes to create excitement and involvement with art through various projects. Her gallery recently held an exhibition called The Garden of Hidden Desires, where emerging artists collaborated with fashion designers. “Fashion and art was one way of reaching out. Everyone can relate to fashion. We are saying, look at this dress and see how it is inspired by that painting. We always want to enourage people to look at things differently. Lim admits Malaysia is not an easy place to live and survive as an artist. She knows there are artists who produce art commercially, to make a living. Lim believes strongly that artists need to retain their purity and integrity. She doesn’t deny that the journey is a long and arduous one. She has seen good artists giving in to commercialism, even though they used to make statements through their pure and provocative work. “I have stepped in and asked what was going on. People tell me I am mad!” she quips. “They say, just let them be. People buy their work! But when I see an artist selling out, it goes against every grain of what I believe in. I want to promote artists who are saying something, making a contribution. As a gallery owner, Lim meticulously documents the artists under her stable. She keeps thick folders of each artist’s shows, works and media clippings. Sit her down any day and she can take you through every detail of the artist’s progress and evolution, spouting details she knows like the back of her hand. “Cataloguing and archiving are paramount. 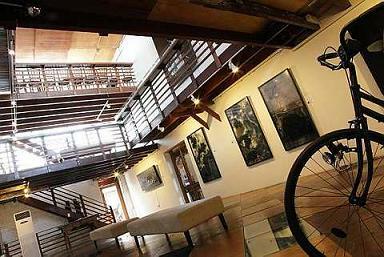 A reputable gallery should document an artist’s body of work religiously. From the time our artists work with us, we catalogue everything,” she says. She is also one of the few galleries that publish extensively. “We publish catalogues and publications every month. Exhibitions are for a period of time, so when they’re over, the catalogues are our archives,” she says. “It is important for the artists, the gallery and the collectors as it’s about provenance. You need to know when and where you got the paintings from. In Malaysia, there is a serious lack of publications about local art. On our part, we’re doing what we can to document what has happened over the years through our gallery and our shows,” she says. On whether she would take up painting again, Lim is hesitant. “In the two years that I was painting, it was the most peaceful time in my life. I had no business to run and was not answerable to anyone. I got a lot of fulfilment from that. “Now, at this point,it’s hard for me to detach from everything to go and paint. I’ve made a commitment to my artists and my gallery. My name is on it!